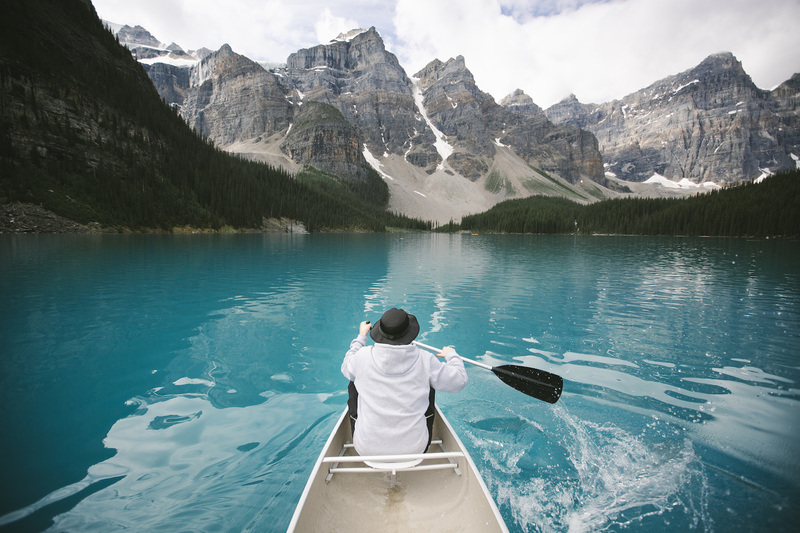 A paddler in the wonderful water of Moraine Lake. Hiking at Moraine Lake in Banff National Park. 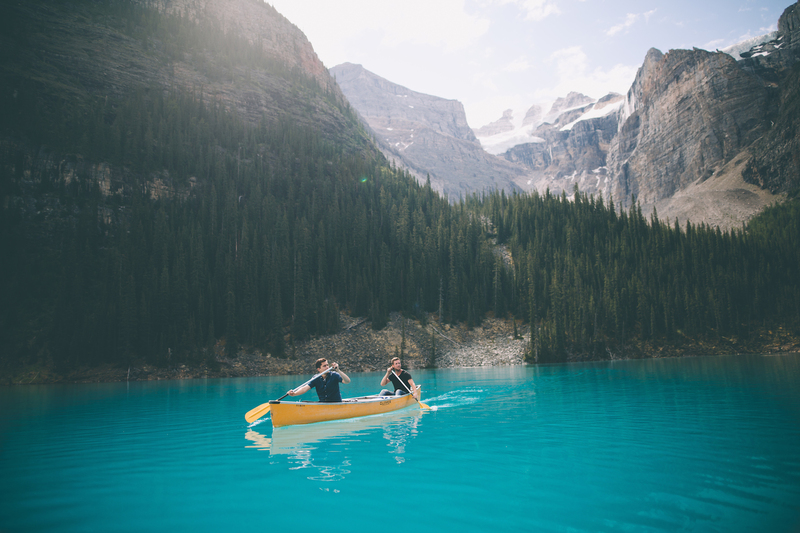 Kayaking at Moraine Lake in Banff National Park. Spend some time on a lake whose scenery is on the money. 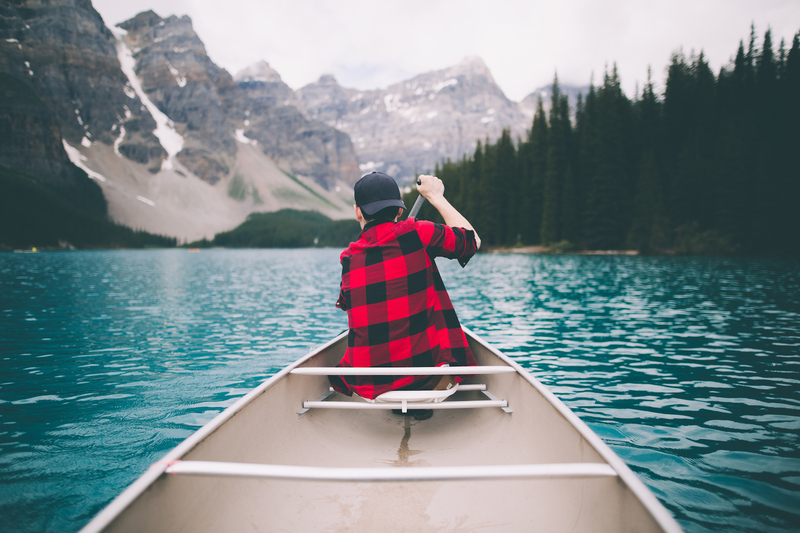 In Banff National Park, Lake Louise tends to get all the attention, but many people don’t realise that just 15 kilometres away is Moraine Lake – less famous, but much prettier. This glacier-fed lake offers a view so incredible that, from 1969 to 1979, it was depicted on Canada’s $20 note. It’s an ideal spot for naturalists and photographers who just want to soak up the scenery for a while. But the area offers more than just looking at the view, superb as it is. The lake is open for kayaking, so you have the opportunity to be part of the scenery, paddling gently on its turquoise waters. There are several hiking trails: the Rockpile Trail offers the best aspect, with the exact view of the magnificent Valley of The Ten Peaks immortalised on the $20 Canadian banknote, and is now called the Twenty Dollar View. So if you want to take a photo that is on the money, this is the spot for you. The road to Moraine Lake (pc.gc.ca) opens each May, but the lake isn’t usually fully thawed until late June. 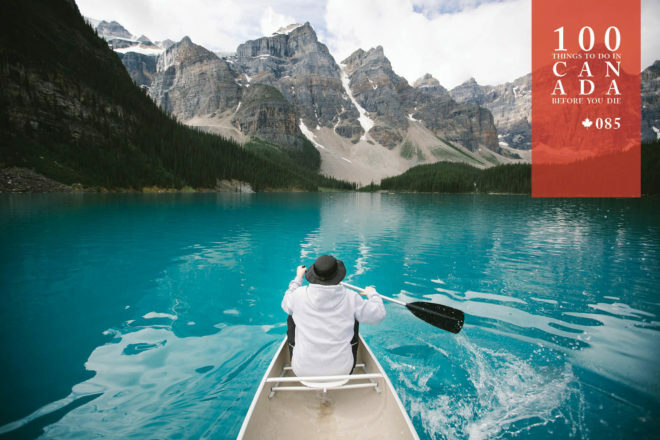 The dock at Moraine Lake is open from 10am to 6pm, with canoes available for hire. Certain walking routes are restricted at different times of the year, due to grizzly bear activity. Take a Rail Plus Canadian Rockies Highlights 7-day package tour. Find out more from Banff and Beyond. Moraine Lake is only 15 kilometres south of Lake Louise. A seasonal shuttle runs there from July to mid-September, to coincide with the busiest tourist periods. Otherwise, it can be reached by car, taxi or bicycle.